Y’all know by now that I can get DOWN when it comes to pizza. I don’t know what happens, it doesn’t matter if I just ate an entire Thanksgiving dinner – if pizza is around, so am I. I’m a firm believer that it should be its own food group, aren’t you? With that said, my love affair with pizza is just one of the many reasons that I was so excited to check out Social Pie. 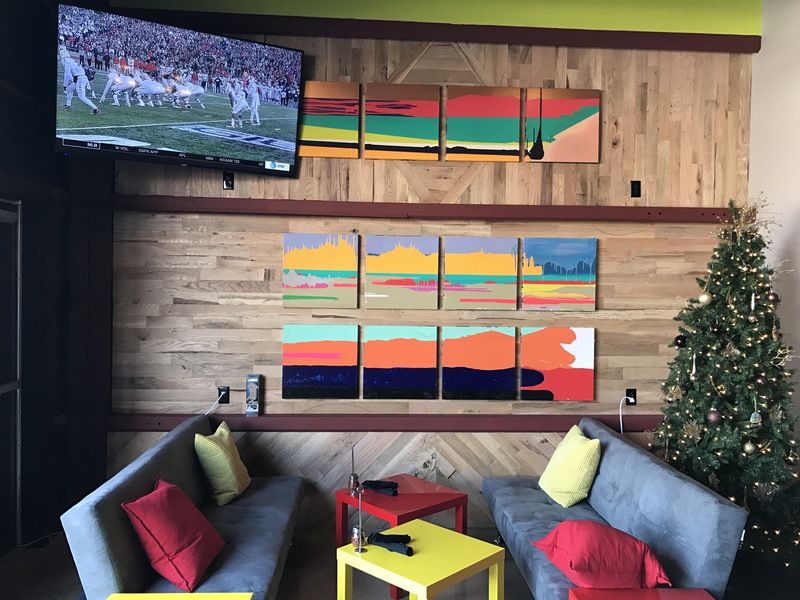 New to Dallas and conveniently located near the Medical District and Love Field, Social Pie actually makes you feel good for eating too much pizza. No, they didn’t invent some magical drug that makes you not feel stuffed, they run on the concept of giving back to the community. 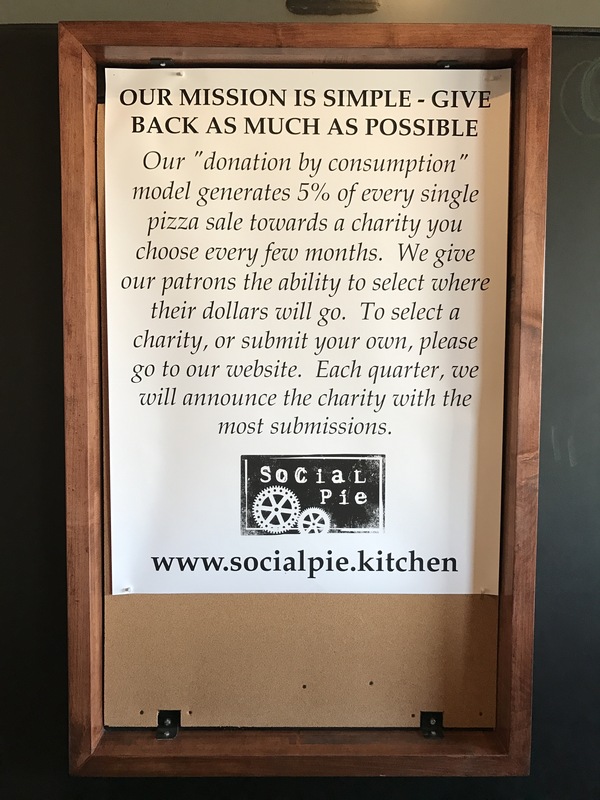 With a focus on three local charities at a time that the community nominates, Social Pie operates a “donation by consumption” and 5% of each pizza sale is donated to the charities that are being honored at that given time. As if that wasn’t reason enough to eat here all the time, the pizza is ridiculously good and there is so much more to love, too. Social Pie is a certified green restaurant with a focus on our responsibility to the environment. For instance, if you bring your own coffee mug, they’ll fill you up for free! Water is available by request only so that gallons upon gallons aren’t wasted just sitting in glasses on tables and even their takeout containers are made of plants and compostable, too. 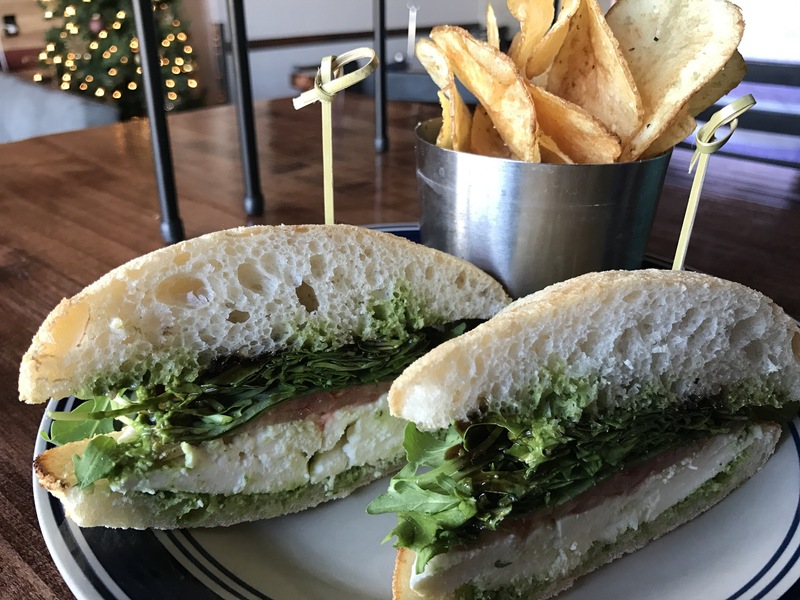 While being a certified green restaurant isn’t an easy feat, it is so important to the folks at Social Pie and should be to all of us as well. 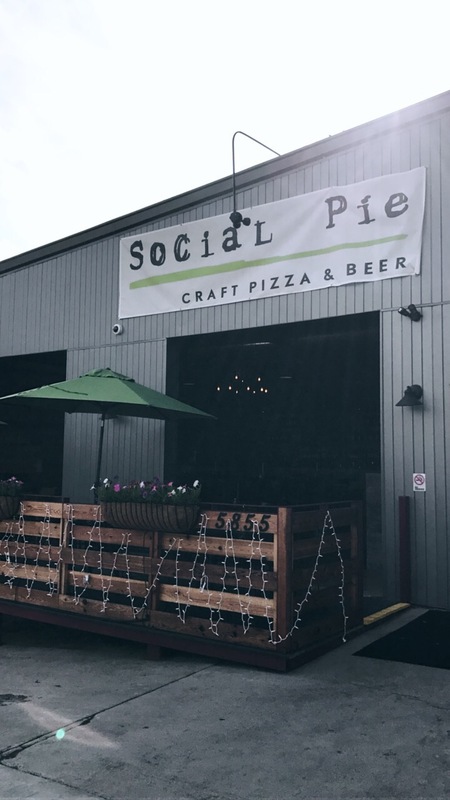 Social Pie is inviting from the second you park in the lot. A decently-sized, dog-friendly patio greets you out from with large, garage-style windows that allow for an open-air restaurant on a beautiful day. Friendly faces greet you at the counter, ready to offer up any suggestions, answer questions and take your order while a sprawling life-sized menu awaits you to the side. There is a nice bar area with two TVs, beer and wine on tap and custom growlers for both on display. The dining room is inviting and more TVs are strewn about, while a comfy corner complete with couches offer a more casual environment. I could go on and on about Social Pie but let’s talk about the REALLY good stuff, shall we? Yes, I mean the food! 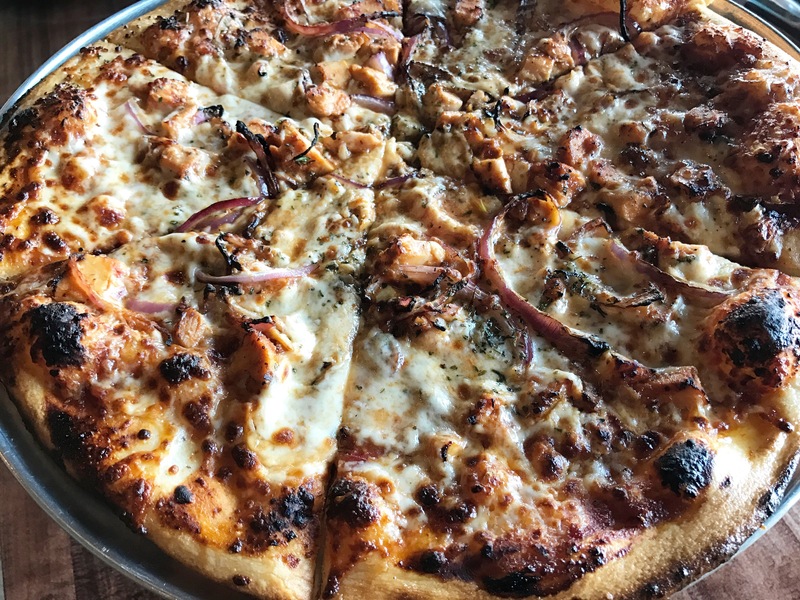 Here at Social Pie, they don’t try to complicate things too much. The menu is concise, with four salad options, four sandwich options, and then pizza. The folks at Social Pie have created a few options that you can directly choose from or you can build your own. Their pizza is sold in 14″ pies or by the slice which is, in reality, a quarter of a pizza. 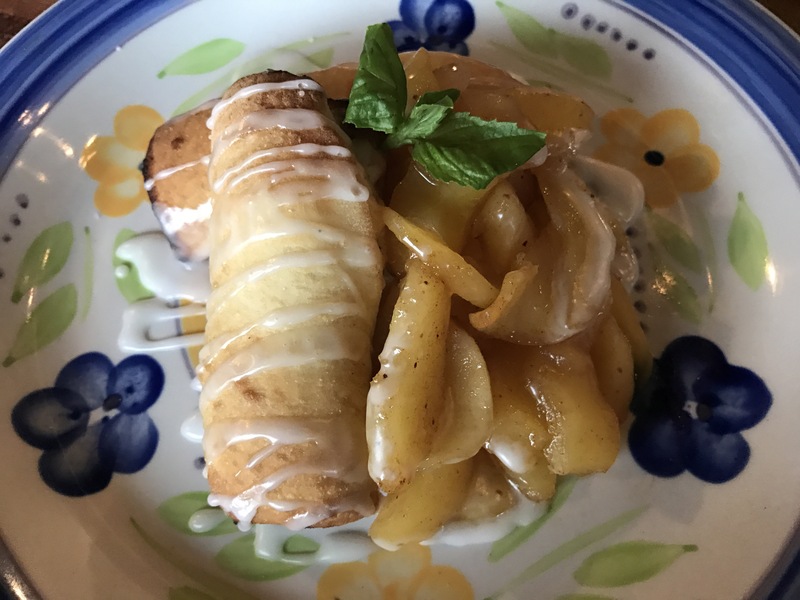 On top of all of the wonderful things that Social Pie does for the community, the environment, and our tummies, they offer some other awesome things as well. Online ordering? Check! Pizza AND beer delivery (currently within a 3-mile radius of the restaurant)? Check! $3 mimosas every day? Yep! 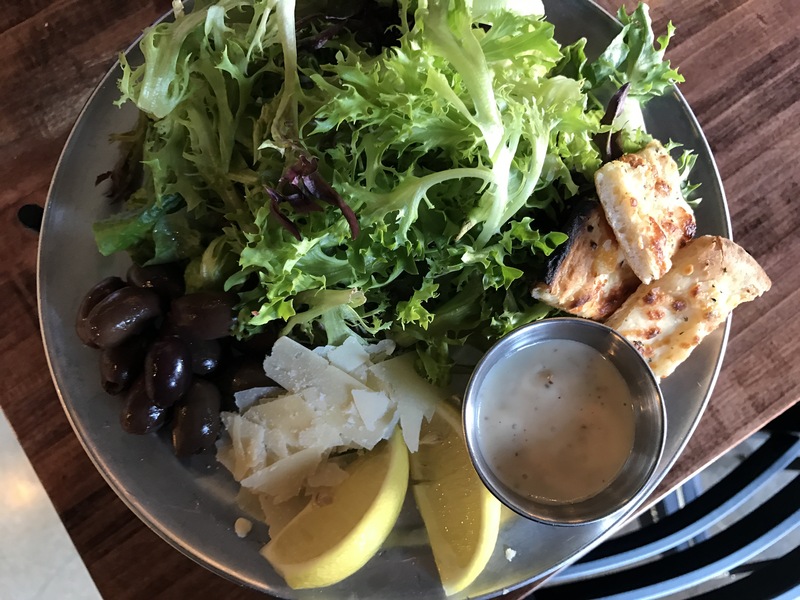 A $9.95 lunch special that includes a slice of pizza, house salad, and a drink? Mmhmm! Happy Hour from Monday through Friday from 2pm to 7pm that includes 25% off all beer and wine? You’ve got it! AND, 1/2 priced pizza from 11am-4pm Saturday and Sunday? YES, SIR! I mean….really? This place is gold! As if it isn’t already obvious enough, Social Pie is my new favorite spot in town. I’m sure I will be here entirely too much now that I’ve discovered it and I highly suggest that you do the same. Go ahead, let’s all give back to the community by not only supporting local business, but especially those who want to leave their mark by giving back themselves, too! Who is ready to have some pizza with a purpose! ?